Voice-controlled driving assistant. Hands-free control over your apps, text messages, phone calls, navigation and more! SenseSay is always waiting for your command. Just say “Ok SenseSay” and SenseSay will be ready to assist you in using your smartphone. SenseSay alerts you of incoming text messages and reads them out loud so you can keep your eyes on the road. 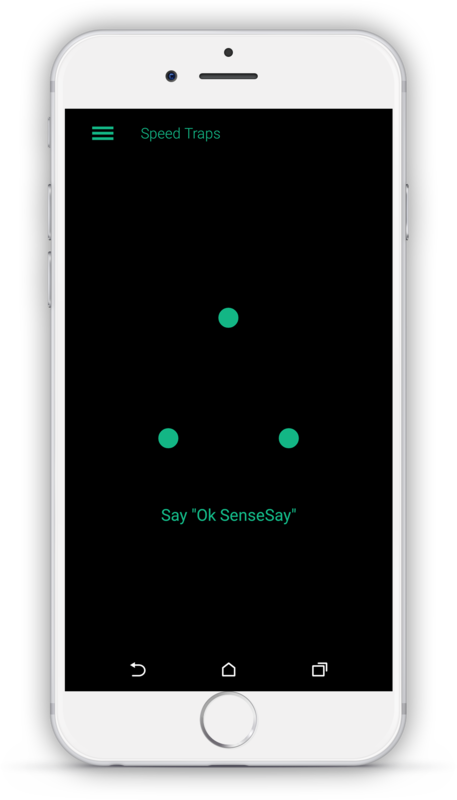 SenseSay will send text messages and make phone calls for you just using your voice. SenseSay can find any destination and provide turn by turn navigation and live map. You also have the option of having SenseSay open your Google Maps. SenseSay is coming very soon!